29. […] Gotovina submits, inter alia, that the Trial Chamber erred in convicting him because the indiscriminate nature of the artillery attacks was not pled in the Indictment. He asserts that he lacked notice of three material elements underlying the Trial Chamber’s conclusions, namely: i) the presumption of unlawfulness with respect to shells falling more than 200 metres from a lawful target; ii) the projectile-by-projectile assessment of the artillery attacks rather than an assessment of the attacks as a whole; and iii) the conclusion that the HV was unable to fire at targets of opportunity. Gotovina maintains that the Trial Chamber erred by not putting “its case” to the various expert witnesses appearing at trial and, accordingly, submits that he was deprived of the opportunity to challenge and fully litigate relevant issues related to the theory underpinning his convictions. 30. Gotovina asserts that the Trial Chamber erred by replacing the Prosecution’s theory of the case with one of its own making based on a site-specific analysis of various artillery strikes. More specifically, he maintains that the Trial Chamber erroneously determined that the range of error for all artillery projectiles fired at the Four Towns was 200 metres, despite reviewing no evidence suggesting such a range of error. Gotovina contends that “[t]he only incidental testimony regarding an artillery error-range came from a Prosecution witness who stated that 400[ metres] was an acceptable range for HV artillery on the first shot”, and maintains that the Trial Chamber unreasonably declined to rely on this testimony. 31. Gotovina asserts that the Trial Chamber failed to address alternative explanations for why impact sites would be more than 200 metres from identified lawful targets, including negligence, the malfunctioning of weaponry or ammunition, or the existence of unidentified lawful targets. He further asserts that the Trial Chamber erred in law in concluding that the HV did not have the ability to strike targets of opportunity. Gotovina contends that the Trial Chamber heard testimony suggesting that HV observers could view targets of opportunity in Knin, notes evidence of military and police vehicles passing through the city, and suggests that the Trial Chamber reversed the burden of proof in not requiring the Prosecution to prove that there were no observable opportunistic targets in the Four Towns. 32. Gotovina challenges the Trial Chamber’s factual findings related to impact sites in the Four Towns. In this regard, he maintains that the Trial Chamber erred in assessing: the locations of the impact sites; the military advantage offered by striking them; the number or type of projectiles used; and the origin of the strikes. More generally, Gotovina submits that the Trial Chamber reversed the burden of proof in reaching findings regarding a variety of issues in relation to the impact sites, including the types of artillery used and the military character of targets. 33. Gotovina submits that, absent this erroneous analysis, the Trial Chamber could not have concluded that the impact sites demonstrated that unlawful artillery attacks took place. More specifically, he suggests that absent the assumptions implicit in the 200 Metre Standard, there is no relevant evidence on the record regarding attacks on the Four Towns, as the Prosecution failed to introduce evidence of civilian casualties or damage to civilian infrastructure in the Four Towns. Gotovina further maintains that estimates of artillery ranges of error greater than 200 metres would result in many fewer areas being classified as “civilian” and suggests that this illustrates the problematic nature of the Trial Chamber’s reliance on an arbitrary rule like the 200 Metre Standard. He also asserts that using a 400 metre range of error, as suggested by Prosecution Witness Andrew Leslie, would result in only 13 of the identified impacts falling outside the permissible zone. 34. Gotovina further challenges other evidence relied on by the Trial Chamber to conclude that he directed unlawful attacks against the Four Towns’ civilian population, including, inter alia, the 2 August Order and evidence concerning the impact of shelling on the Four Towns. With respect to the 2 August Order, he contends that Prosecution Witness Marko Rajčic and Defence Witness Geoffrey Corn did not consider that the only reasonable interpretation of the 2 August Order was to require an indiscriminate attack on the Four Towns. With respect to implementation of the 2 August Order, Gotovina submits that the Trial Chamber concluded that evidence suggesting that artillery shells were fired in the general direction of the Four Towns rather than being specifically targeted was indicative of unlawful attacks only in the context of the Impact Analysis. He maintains that witnesses who experienced the shelling of Knin offered only “vague impressions” and were not aware of all legitimate military objectives, which Gotovina asserts were located all over Knin. Finally, Gotovina asserts that the Trial Chamber erred in finding that the artillery attacks in Knin aimed at Martic were disproportionate. 35. Gotovina submits that in view of the paucity of alternative evidence on the record, absent the Impact Analysis, it would not be possible to find that the artillery attacks on the Four Towns were unlawful. More specifically, he maintains that the Trial Chamber’s inferences regarding other relevant evidence relied almost entirely on assumptions drawn from the Impact Analysis. For example, Gotovina contends that the number of projectiles falling more than 200 metres from legitimate targets was the basis upon which the Trial Chamber discounted Witness Rajčic’s testimony that the 2 August Order did not direct unlawful artillery attacks, and that HV artillery reports potentially suggestive of indiscriminate firing were interpreted in light of the Impact Analysis. 36. Finally, both of the Appellants contend that, absent a finding that unlawful artillery attacks took place, it is not possible to uphold the Trial Chamber’s findings regarding the JCE. Gotovina asserts that the Trial Chamber specifically found that the JCE aimed to deport Serb civilians through unlawful artillery attacks, and that reversal of the Trial Chamber’s findings concerning unlawful attacks would negate the actus reus of the JCE. In this context, he maintains that the Trial Chamber declined to find that deportation occurred in settlements where it did not find that unlawful attacks took place. Both of the Appellants submit that the Trial Chamber premised its findings regarding the intent of participants in the Brioni Meeting on the existence of unlawful artillery attacks, and Gotovina further maintains that the Trial Chamber specifically found that the Appellants had no role in promoting discriminatory Croatian policies. 37. The Prosecution responds that the Trial Chamber did not err in finding either that unlawful artillery attacks against the Four Towns took place or that a JCE existed. 38. With respect to notice, the Prosecution contends that Gotovina was aware that the relevant issues were contested. The Prosecution further contends that the Trial Chamber was entitled to weigh the evidence in the manner it believed fit. 40. The Prosecution maintains that the Trial Chamber did not err in finding that mobile targets of opportunity could not explain impacts in areas more than 200 metres from identified targets. It further submits that the Trial Chamber reasonably concluded that the HV did not have the capability to identify relevant targets in the Four Towns, and that there was no or little evidence of opportunistic targets being present at or near relevant impact locations. 41. The Prosecution further maintains that, even if the 200 Metre Standard is overturned, this does not undermine the Trial Chamber’s Impact Analysis. The Prosecution asserts that the broad spread of artillery impacts all over Knin demonstrates that the attack was indiscriminate. It also contends that some shells impacted 700-800 metres from identified legitimate targets in the Four Towns and suggests that this would be an unreasonable margin of error. 42. The Prosecution submits that even if the 200 Metre Standard and Impact Analysis were not reasonable, the Trial Chamber relied on a wide range of other mutually-corroborating evidence in finding that artillery attacks on the Four Towns targeted civilians and civilian objects. The Prosecution notes in particular the 2 August Order, which it contends “indicates that the Four Towns themselves were among the approved targets”, and submits that expert testimony from both Prosecution and defence witnesses suggested that the 2 August Order could be interpreted as directing indiscriminate attacks. The Prosecution further contends that evidence on the record suggested that some artillery shelling was aimed at the general direction of the Four Towns, rather than being focused on specific lawful targets. The Prosecution maintains that the Trial Chamber took into account extensive testimony by eyewitnesses in the Four Towns. In particular, the Prosecution notes that several witnesses in Knin believed that the shelling of the town was indiscriminate. The Prosecution also asserts that the Trial Chamber’s finding that disproportionate attacks took place against Martic serves as an additional indicator of indiscriminate attacks. Finally, the Prosecution maintains that the absence of evidence of civilian casualties from the artillery attacks is a function of how the artillery attacks were charged in the Indictment, and suggests that witness evidence gives some indication that casualties resulted from the shelling. 44. In reply, Gotovina reiterates, inter alia, that he lacked adequate notice of the crimes for which he was convicted. He asserts that the Trial Chamber’s finding of unlawful attacks relies on the Trial Chamber’s conclusions regarding the 200 Metre Standard, contending that, without this guide, no “shell fired could be found unlawful”. Gotovina maintains that witness estimations regarding artillery guns’ range of error depend on the particular conditions and types of artillery used, and that the distance of HV artillery from relevant targets would lead to a high margin of error. Gotovina also asserts that the Trial Chamber did not discuss the Brioni Meeting in assessing whether unlawful artillery attacks against the Four Towns took place, and submits that, in any event, evidence from the Brioni Meeting does not indicate that unlawful artillery attacks were planned. 58. The Appeals Chamber observes that the Trial Chamber did not explain the specific basis on which it arrived at a 200 metre margin of error as a reasonable interpretation of evidence on the record. The Trial Judgement contains no indication that any evidence considered by the Trial Chamber suggested a 200 metre margin of error. The Trial Chamber appears to have accepted Witness Konings’s testimony that the range of error for artillery weapons depends on a number of factors, such as wind speed and air temperature, but concluded that it did not receive detailed evidence on these factors. However, the Trial Chamber made no attempt to justify the 200 Metre Standard with respect to the factors Witness Konings identified, despite rejecting Witness Leslie’s proposed 400 metre range of error partly because it did not explicitly account for these factors. 82. As set out above, the Trial Chamber assessed much of the other evidence on the record to be ambiguous and considered it indicative of unlawful artillery attacks only when viewed through the prism of the Impact Analysis. The limited evidence not caveated in this way is also insufficient to uphold the finding that artillery attacks were unlawful. The Trial Chamber’s analysis of the attacks on Martic involved a lawful military target, was not based on a concrete assessment of comparative military advantage, and did not make any findings on resulting damages or casualties. Especially when considered in the context of the Trial Chamber’s errors with respect to the Impact Analysis, this finding of a disproportionate attack was thus of limited value in demonstrating a broader indiscriminate attack on civilians in Knin. Similarly, the Brioni Transcript provides only limited support to a finding of unlawful artillery attacks, particularly in light of the Trial Chamber’s failure to explicitly refer to this evidence in entering its conclusions concerning the nature of the artillery attacks. 28. The Majority concludes that the Trial Chamber erred when finding that no artillery attacks were aimed at targets of opportunity in Knin. As indicated earlier, I disagree with this conclusion, although I agree with the Majority that the Trial Chamber did not err when concluding that no evidence existed of targets of opportunity in Benkovac, Gračac and Obrovac. 29. The Majority reaches its conclusion regarding targets of opportunity in Knin on the bases that, inter alia: (i) a police car was in fact hit; (ii) there is evidence of targets of opportunity moving through the town during the artillery attack; and (iii) the Trial Chamber did not explicitly exclude the possibility that HV forces could observe movements of targets of opportunity in Knin. 30. In my opinion, the Majority misrepresents the relevant findings of the Trial Chamber. The Trial Chamber in fact found, inter alia, that: (i) Rajčić testified that there was no clear line of sight from the HV positions to the settlement of Knin before Operation Storm; (ii) HV artillery reports and orders do not mention the use of artillery observers in Knin; and (iii) the evidence does not establish whether the HV had artillery observers with a view of Knin at any point during 4 August 1995. The Trial Chamber further reasoned that if the HV did not have artillery observers, they would have been unable to spot, report on, and then direct fire at SVK or Police units or vehicles at least on 4 August 1995. It added that if the HV did have artillery observers with a view of Knin on 4 and 5 August 1995, apart from the only police car hit, the limited evidence of SVK or police movements did not relate to the areas of the ECMM building, the hospital, the area on Knin’s eastern outskirts, or the field across from the UN Compound. 31. Based on this, I consider the Trial Chamber’s conclusion that there is no evidence that the HV aimed at targets of opportunity in Knin to be entirely reasonable, and it therefore should not have been disturbed by the Majority. 32. In addition, I note more broadly that the Majority fails to realise that, in its approach and conclusions regarding targets of opportunity, it falls into a blatantly unfortunate contradiction, as follows. With respect to the one police car that was hit in Knin, the Majority assumes that HV artillery weaponry could be so accurate as to obtain a direct hit, but with regard to all of the military targets which had been pre-established with proper co-ordinates, the Majority effectively gives the HV the benefit of the doubt ad infinitum. I would be enlightened by an explanation from the Majority as to how, if the HV could be so accurate with regard to a moving object, it could miss military targets by hundreds of metres? Does the Appeals Chamber classify the situation? Why/why not? On what would a correct classification depend? Would the classification of the situation have an effect on the rules under consideration by the Chamber? (Para. 29) Must each projectile be aimed at a military objective, or is it sufficient, as Gotovina contends that the attack as a whole is directed at a military objective ? What is an indiscriminate attack? Do all attacks that cause civilian casualties constitute indiscriminate attacks? May an attack be considered indiscriminate even if it causes no civilian casualties? 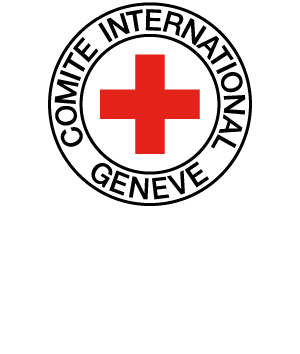 Are indiscriminate attacks prohibited by IHL? Are there any differences in how the prohibition is articulated in international and non-international armed conflicts? (P I, Art. 51, P II, Art. 13; CIHL, Rules 11-13). (Para. 39) Do you agree with the Appeals Chamber in rejecting the proposal of the Trial Chamber that any shell that fell further than 200 meters from a legitimate military target constituted evidence of an indiscriminate attack? Did the Appeals Chamber analyse all relevant principles of IHL applicable to the conduct of hostilities in order to determine whether the attacks on the four cities were indiscriminate? (P I, Art. 51(5)). (Para. 32) What are targets of opportunity? Do they constitute legitimate targets of attacks under IHL? Do you agree with the dissenting opinion of Judge Agius that the Appeals Chamber has contradicted itself by accepting that mobile targets of opportunity were targeted accurately, while pre-planned attacks against stable military objectives could not? What does this case reveal about the possibility and difficulties of finding individuals responsible of having committed war crimes in the conduct of hostilities? Which of those difficulties also exist for determining whether a state violated IHL by an indiscriminate attack ?